World first: Smart screens at Heathrow compare live airport transfer options in native language. The screens present passengers with the estimated time and costs at the exact moment they would use the rail link to reach central London versus getting a black taxi. Along with displaying the time of the next Heathrow Express train, the campaign also employs GPS-focused technology to highlight real-time traffic on a map that displays the journey between the terminal and Paddington. the campaign is also multilingual, as the screens on each baggage reclaim carousel will be translated to the main language of the arriving flight. 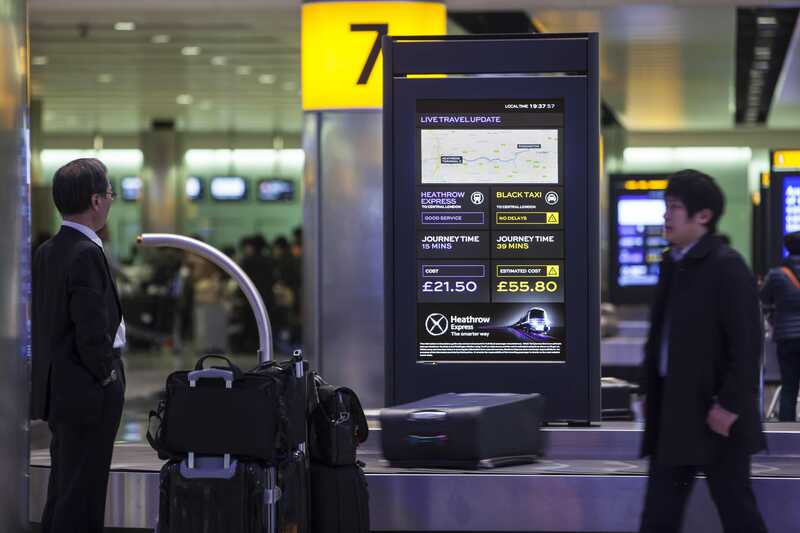 The campaign will also be installed across all Heathrow’s Terminals later in the year.